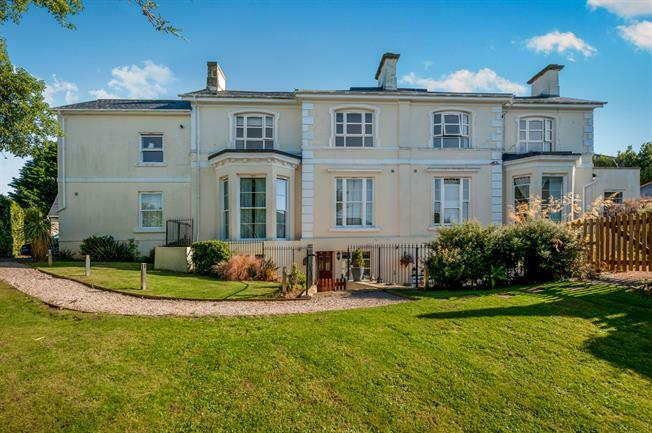 Lansdowne Court Apartments are nestled in a cul de sac location in the heart of the English Riviera and being in proximity to local amenities and attractions. The property has been equipped to a high specification offering a welcoming living area, modern kitchen with integrated appliances, two double bedrooms (master ensuite) and a four piece modern bathroom suite. Having its very own terrace which is ideal for alfresco dining as well as the use of the well maintained communal gardens. Benefitting from allocated parking and visitors parking. Roll top work surface, built-in wall and base units, one and a half bowl stainless steel sink with mixer tap and drainer, integrated electric oven and gas hob with overhead extractor, integrated dishwasher, fridge/freezer and washer/dryer. Part tiled walls. Radiator, tiled walls. Low level WC, single enclosure shower with thermostatic shower, pedestal sink, extractor fan. Skylight window. Radiator, tiled walls. Low level WC, panelled bath with mixer tap, single enclosure shower with electric shower, pedestal sink, extractor fan. A double glazed door from the living room leads to the patio with wrought iron railings surrounding. There are also communal gardens to the rear which are mainly laid to lawn. Allocated parking.